Visit Lighthouse Beach to see the red haze of the setting sun color the water with an artist’s brushstrokes. Watch the coconut trees on the green outcrop sway under the red and white lamppost. 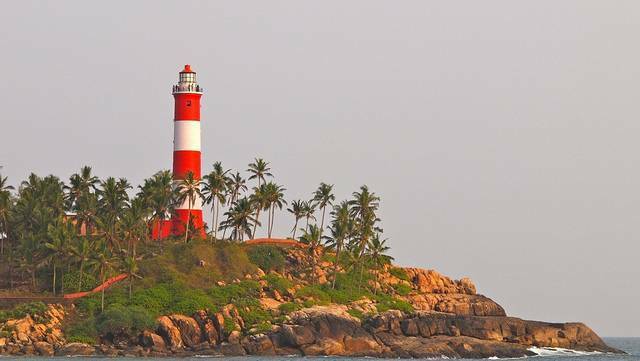 This is Kovalam’s southernmost beach and the most frequented by tourists. In the day people play in the waves, sunbathe or play sports while fruit ladies sway up and down, offering fruits to help tourists refresh from the heat. Be sure to swim in only safe and designated zones.